On the corner of East Colorado Blvd. and Marengo Ave.
BJ's Restaurant & Brewhouse has you covered when you're looking to have a great dining experience with the entire family in Pasadena, CA. 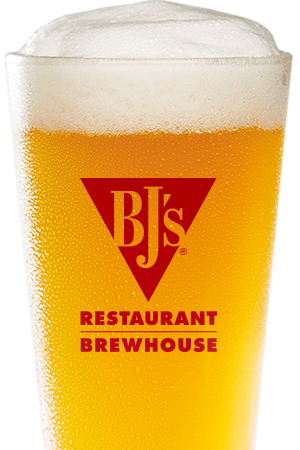 BJ's definitely has something for everyone and, as soon as you arrive, you'll love our relaxed atmosphere and friendly service. We're proud to feature over 120 menu items, each one carefully crafted, and we're constantly Pursuing Amazing™ to make every dining experience incredible. We use only top-quality ingredients in everything we serve from our signature pizzas, pasta favorites, snacks and small bites, shareable appetizers, handcrafted burgers, perfectly cooked steaks, ribs and more. If you're watching your calories or have special dietary needs, we're pleased to offer delicious lower-calorie EnLIGHTened Entrees® and several gluten-free menu options. The little ones will love BJ's as well, since our Kids' menu is loaded with delicious smaller entrees and options designed just for them. The food at BJ's is amazing and so are the beverages! We offer handcrafted sodas and an incredible selection of award-winning craft beers. 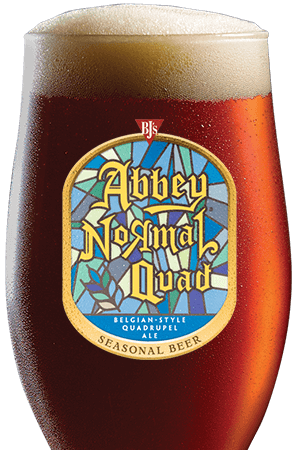 Our experienced team of brewers is committed to the art of beer and are constantly Pursuing Amazing™ to bring you the very best. 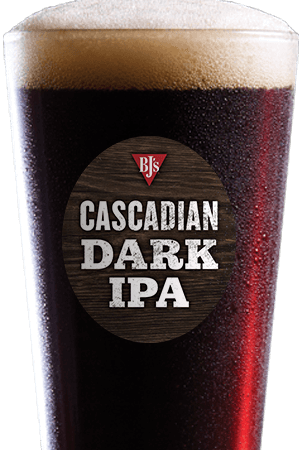 Our always-on-tap selection, including Jeremiah Red®, Piranha® Pale Ale, HopStorm® IPA, BJ's Oasis® Amber and more is second to none and, since we also offer delicious seasonal beers and top-quality limited edition Brewmaster's Reserve™ selections, you're sure to find a beer that's perfect for your individual tastes. 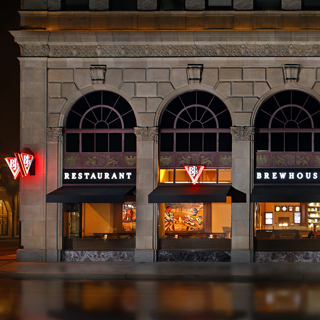 We can't wait to serve you and give you an incredible dining experience at BJ's Restaurant & Brewhouse in Pasadena, CA! We are the most gorgeous BJ's Restaurant. Located in the historic 1927 Pacific Southwest Trust and Savings building. The decor is spectacular, most of all the original stained glass skylights and ornate hand-painted extra high ceiling.